The bus beat me up! It turns out that all the bending over, manhandling heavy gearboxes and sub-optimal lifting techniques resulted in a ruptured disc in my spine, leaking it’s goo out and compressing nerves in my spinal column – causing all sort of pain & limited movement! 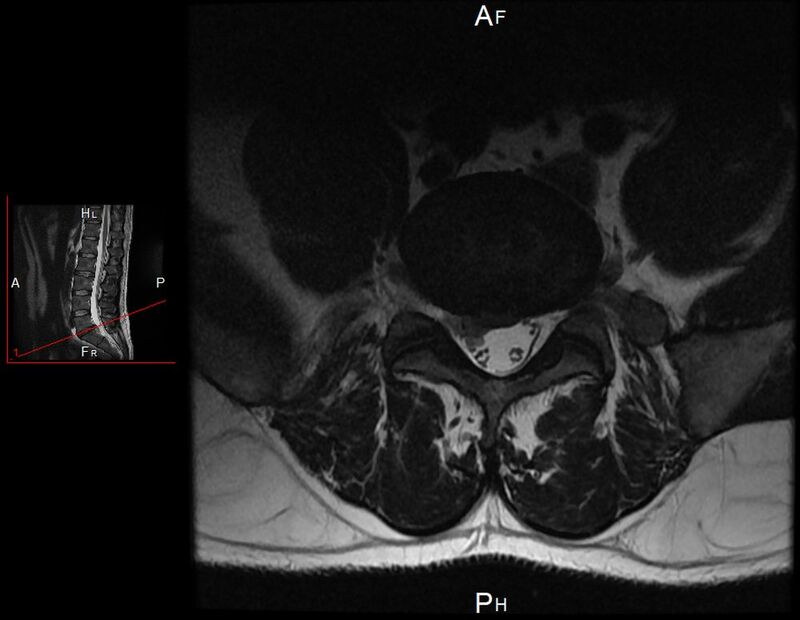 The big round oval in the middle of this MRI image is the disc in question, and the dark splodge leaking out just to the left of the bottom of it is not supposed to be there! I’m now on a cocktail of drugs and just hoping it gets better in time for the first snowboarding trip of the year in about a months time – it will be really annoying if the effort of getting the bus ready for the trip has resulted in me not be able to board on medical grounds!